We are the leading service-provider of Metal Roofing System. These can be used as single skin roof or can be used in combination with insulation to give thermal and acoustic characteristics. Crimp Curved sheets are developed to provide versatility and creativity to bring new and refreshing design to commercial, industrial and domestic buildings. The combination of curves and contours in concave and convex shapes with flats and angles in Tracked produce many aesthetically pleasing buildings. Established in the year 2015, Raj Engineering is effectively occupied with Manufacturing and service provider & Ventilation System & Roofing Sheet. 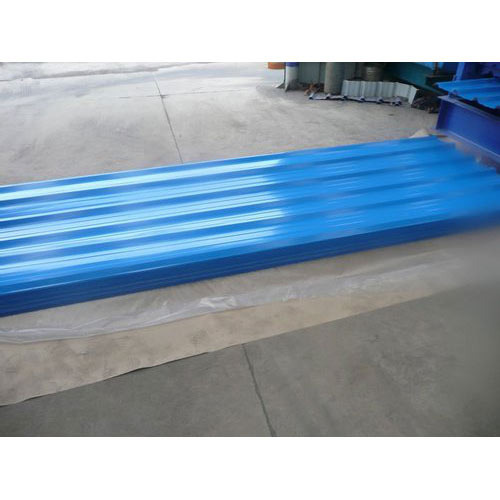 We offer a wide and comprehensive range of products, which include Ventilation Systems, Poly carbonate Sheet, Metal Color Coated Sheets, Pre- Engineering Buildings, Modular Partition and Roofing Sheet. We are setting an example in the industry by providing easy to install products which are outstanding in performance, consume less energy and easy to maintain. We take pride in offering high-quality products that are available for general ventilation usage where high heat release is not a problem along with timely delivery at very affordable prices and customization options as per client’s demand. Moreover, our range is extensively used in per-engineered buildings to give a refreshing look to any exterior decor. With state-of-the-art facilities equipped with latest machines and dedicated professionals, we are poised to deliver international standard quality products at the most affordable rates. We make sure that our offered range goes through a stringent quality check process after it is manufactured. Our adept specialist, efficient workforce and matchless resources enable us to serve the demands of customers with quality solutions. Moreover, our easy payment modes, ethical business policies, broad distribution channel and on time delivery schedules has given us a competitive edge in the market.